Stellt eure verlorenen Daten sicher und schnell von der Festplatte wieder her. 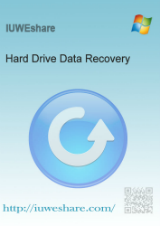 IUWEshare Hard Drive Data Recovery 1.9.9 war am 5. November 2018! als Giveaway verfügbar! Wiederherstellen von Daten von Speicherkarten wie SD-Karte, MiniSD, SDHC, MicroSD (TransFlash) -Karte, Compact Flash-Karte, Memory Stick von SanDisk, Kingston, Transcend, Sony, Integral, Panasonic, Toshiba, Olympus usw. Das Tool hilft beim Wiederherstellen von gelöschten oder verlorenen Daten / Dateien von Flash-Laufwerken, einschließlich USB-Flashlaufwerke, USB-Speicher, JumpDrive, USB-Sticks, Pocket Drives usw. Holt eure verlorenen Dateien wie Fotos, Videos, Microsoft Word-Dokumente docx, Excel, pdf, Powerpoint ppt von den Top-Marken für externe Festplatten wie WD, Seagate, Toshiba, Transcend, Omega, Buffalo wieder zurück. Das Programm hat einen großen Vorteil: es zeigt alle gefundenen Dateien mit ihrem ursprünglichen Dateinamen und den ursprünglichen Verzeichnissen an. Dadurch weiß man sofort, wo man die verlorenen Dateien suchen kann. Leider ist es nicht möglich, gezielt in bestimmten Ordnern zu suchen. Man kann nur einen kompletten Datenträger durchsuchen. Außerdem wird nicht angezeigt, in welchem Zustand sich die Dateien befinden. Ich habe probeweise 23 Fotodateien wiederhergestellt. Sie waren im Recovery-Ordner mit ihrer ursprünglichen Größe angegeben, konnten aber nicht angezeigt werden. Folglich sind sie höchstwahrscheinlich alle bereits überschrieben worden. I read the description which states "IUWEshare Hard Drive Data Recovery can recover your important photos, videos, music files, documents, data files and other multimedia type of files from any Windows system hard drive; keeping the original formatting & details intact" What interests me is it says it keeps the original format and details intact. Does this means it maintain folders when something is recovered? Most program do not recover folder and instead present a list of files. I am not sure I am understanding this correctly. "What interests me is it says it keeps the original format and details intact. 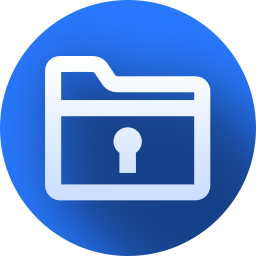 Does this means it maintain folders when something is recovered?" It depends on the state of the unindexed, old data on the drive partition that you'd like to recover from. With data recovery apps sometimes restoring the folder structure works, sometimes not. And when it doesn't work properly, you can actually be worse off... I had a situation earlier this year when I was trying to get some Photoshop [.psd] & a couple of text files back -- the .txt files were recovered but unfortunately listed as being in a sub-folder of Windows\ WinSxS\, with an incredibly long path. If it wasn't for the recovery app's [EaseUS] search feature, they would never have been found. dadams, <i>"What interests me is it says it keeps the original format and details intact. Does this means it maintain folders when something is recovered? "</i> It depends on the state of the unindexed, old data on the drive partition that you'd like to recover from. With data recovery apps sometimes restoring the folder structure works, sometimes not. And when it doesn't work properly, you can actually be worse off... I had a situation earlier this year when I was trying to get some Photoshop [.psd] & a couple of text files back -- the .txt files were recovered but unfortunately listed as being in a sub-folder of Windows\ WinSxS\, with an incredibly long path. If it wasn't for the recovery app's [EaseUS] search feature, they would never have been found. Well well, installation and registration went fine. In my short test i tried to recover emails, it took around 00:03:35 to search within a ~250GB partition, it then took another 7 minutes or so Intelligent Searching, which i stopped in the middle of it, since it already listed over 400000 items (!). I'm not an email-guy by any means, so to speak, so a number that high raised suspicion. Turned out it searched for everything but emails. So, i decided it isn't much of use for me, right into the bin. I'm going to stick with Recuva because it does exactly what it's intended for. Well well, installation and registration went fine. In my short test i tried to recover emails, it took around 00:03:35 to search within a ~250GB partition, it then took another 7 minutes or so Intelligent Searching, which i stopped in the middle of it, since it already listed over 400000 items (!). I'm not an email-guy by any means, so to speak, so a number that high raised suspicion. Turned out it searched for everything but emails. So, i decided it isn't much of use for me, right into the bin. I'm going to stick with Recuva because it does exactly what it's intended for. Provided key doesn't activate whatsoever, I followed instructions to the letter. Seems they just want free FB advertising. I deleted my FB share too. Screw this junk.